PerkinElmer, Inc., a global leader focused on improving the health and safety of people and the environment, announced on May 4, 2015, a co-marketing agreement with Covaris, the industry leader in advanced sample preparation, to provide NGS-grade DNA/RNA purification from formalin fixed, paraffin embedded (FFPE) tissue samples. PerkinElmer provides high-quality automated nucleic acid purification research solutions through its chemagen Technology platform. PerkinElmer’s chemagicTM research instrumentation and kits are now available with Covaris “truXTRAC FFPE DNA microTUBE Kit for chemagen Technology” for DNA/RNA purification powered by Adaptive Focused Acoustics® (AFA™) technology. “The combination of PerkinElmer’s and Covaris’ products will significantly increase the quality and yield of nucleic acids from FFPE samples, speed up the processing time, and simplify the workflow for sequencing, genetics, and biobanking applications,” said Steve Wallace, Vice President, Molecular Diagnostics, Perkin-Elmer. The "truXTRAC FFPE DNA micro TUBE Kit for chemagen Technology" rapidly removes paraffin and rehydrates FFPE tissues in aqueous buffer. This preparation is optimized to work with PerkinElmer’s automated magnetic bead-based DNA/RNA separation technology for low, medium, and high-throughput solutions. For low to medium throughput applications, the Covaris M220TM and E220evolutionTM Focused-ultrasonicators will be combined with the chemagic Prepito® instrument. High-throughput parallel processing of up to 96 samples will be enabled using the Covaris LE220TM with the chemagic 360 research system. These highly simplified workflows ensure high-yield extraction and purification of nucleic acids in less than four hours with minimal hand's on time and seamless integration into Next Generation Sequencing and other key molecular biology applications. 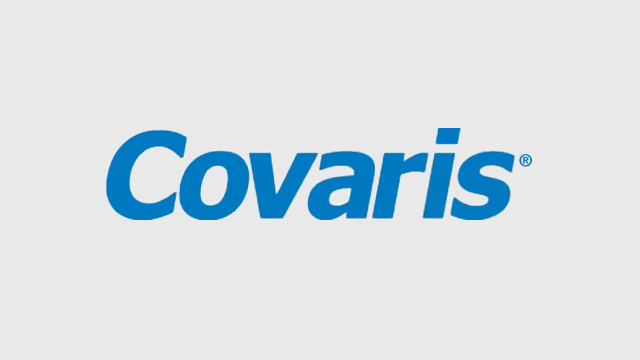 "This integrated workflow delivers NGS-grade nucleic acid quality, purity and yield required by analytical methods such as Whole Genomic Sequencing and robust day-to-day operations in research laboratories worldwide," said Jim Laugharn, CEO of Covaris.